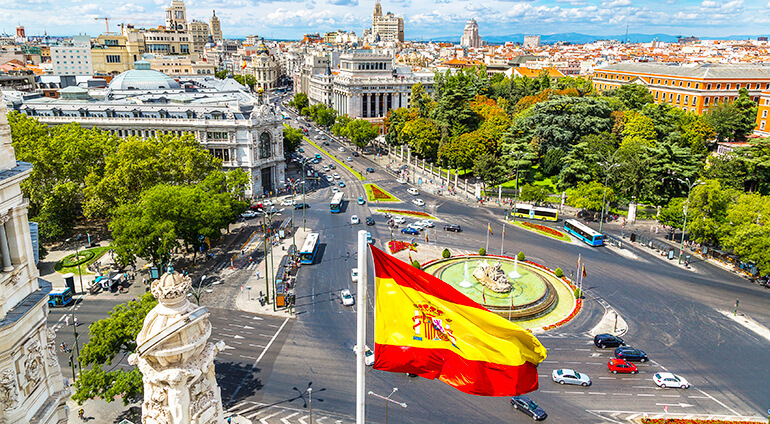 Barajas airport is 13km north-east of the city, with many visitors opting to take a taxi into the centre in just under 30 minutes, costing around €25. Alternatively, the express airport bus runs every 15-35 minutes and takes around 40 minutes, costing €5 each way. The airport is also served by Metro trains, however you can expect at least one change on your way into the centre, which can be tricky if you have large items of luggage. In general both the Metro and the bus network are efficient and fast ways to of travel throughout the city once you’ve arrived, with fares costing around €1.50. However, as Madrid is so compact, you can walk to most central destinations.